Mon 11.28.11 – Tule fog photo taken while descending the Grapevine looking out into the Central Valley of California while driving up to the San Francisco Bay area for Qt Dev Days. By the time I started driving up Hwy 152 to Gilroy and finally saw stars and a clear sky, my eyes were rotating like the Mac beach ball during an app crash. Photo taken by Ms. Jen with her Nokia N8. 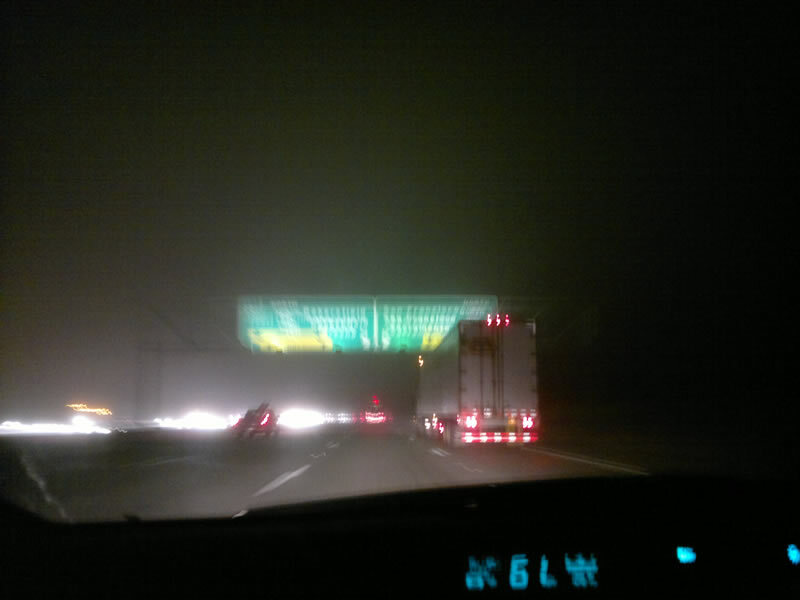 by Ms. Jen on Mon November 28, 2011 | Permalink | oh, california, photos + text from the road.